Pranic energy maintains an invisible force around your body in the form of an aura. Dr. Borislava Johnson performs pranic healing to sweep away negative energy and improve your energy flow. Enjoy the relaxing ritual at Dr. Johnson’s welcoming practice serving Cypress and Northwest Houston, Texas. 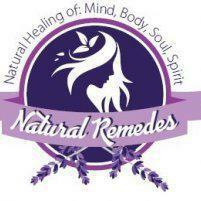 To experience a pranic healing session, book an appointment at Natural Remedes online or over the phone. Prana is the Sanskrit word for life force. The purpose of pranic healing is to establish balance in your body’s energy systems by cleansing blockages and replenishing prana. Your aura is the energy body that encircles your physical body. Negative health conditions coincide with disruptions in your aura, and Dr. Johnson uses pranic healing to help repair them. What happens during a pranic healing session? While you sit or lie comfortably, Dr. Johnson assesses your energy field and scans for imbalances. She guides her palms over your aura to detect sensory changes and removes any blockages by "sweeping" your energy. As she sweeps away blockages, she dumps the negative energy in a bowl of salt and water with a flicking motion. The water absorbs the energy, and the salt breaks it down. Then, she gathers available energy and delivers it to you. Without making physical contact, she guides her hands around your body. She focuses on the areas that need the most attention, then transfers the energy she’s gathered to those trouble spots. During a session, Dr. Johnson may spray fluid on her hands to purify them. The purifying liquid helps her disintegrate blockages and prevents her from absorbing negative energy. Pranic healing is a drug-free, noninvasive method of healing. It helps your body repair itself without the introduction of foreign substances or physical manipulation. This type of healing is perfect if you have an injury or skin sensitivities. You should also notice stress reduction after a pranic healing session. Dr. Johnson cultivates an environment of relaxation around the practice, so a healing session should leave you feeling calm and light. Finally, pranic healing is a great practice to incorporate into your overall wellness plan. If conventional medical methods haven't helped you, alternative therapies provide additional opportunities to heal your body. To schedule a pranic healing session, use the online scheduler or give the Cypress, Texas clinic a call.